has it all – a long coastline, a warm climate, a countryside of contrasts and beautiful colours, preserved villages with their Romanesque churches, chapels, abbeys and other monuments. There are fine golden sands, islands with their singular charm (Ré, Oléron, Aix and Madame), undulating hills; the natural wonder of the Marais Poitevin (often referred to as the Green Venice) with its boats and waterways – all ready to explore. 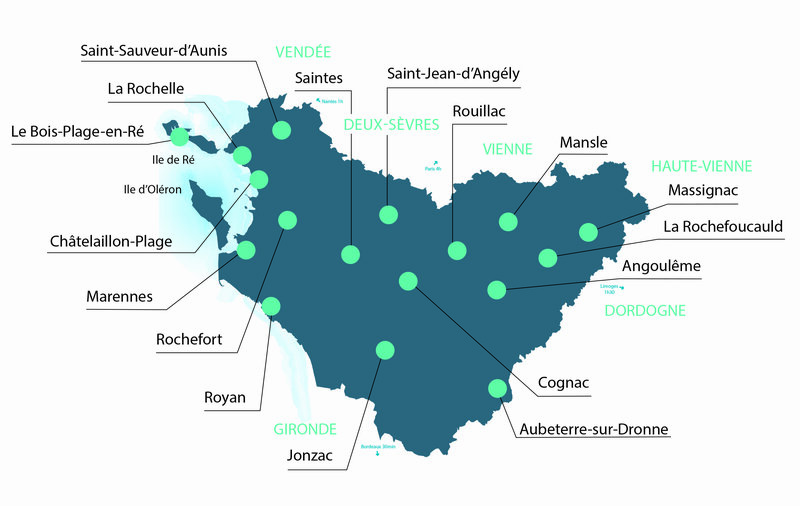 The elegant towns, notably Angoulême and La Rochelle with its Old Port; the vineyards of Cognac…..all these exceptional places entertain many visitors every year visiting or revisiting the area. This is a great destination for the family with plenty to do for all tastes and preferences whatever the age. 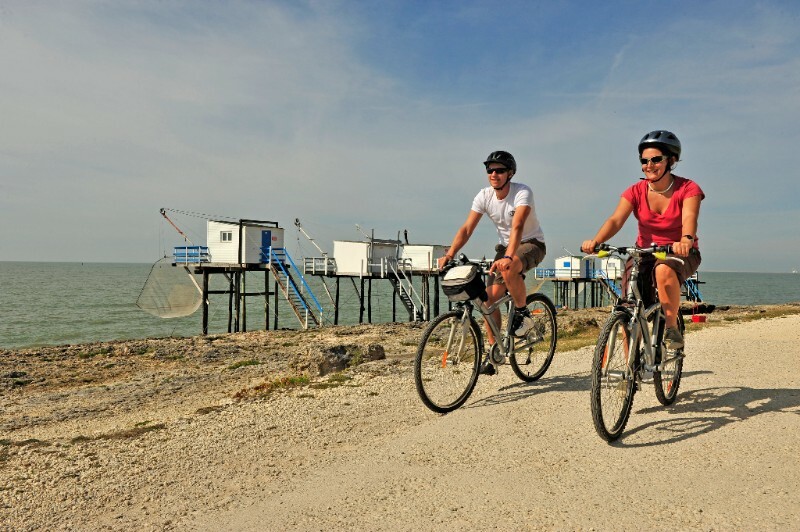 One of the most popular activities in Charentes is cycling – a family activity for which Charentes is ideally suited with several important routes criss-crossing the area: Vélodyssée, La Vélo Francette, Le Canal des 2 Mers à Vélo, La Scandibérique® and La Flow Vélo along the Charente River. This is a pleasurable place to cycle without stress and hard work, just enjoying the undulating scenery. La Scandibérique – This is the French part of the European cycle route number three between the Charente and the Gironde. La Vélodyssée® – This cycling route runs between Roscoff in Brittany and Hendaye in Aquitaine. La VéloFrancette® – From Ouistreham to La Rochelle, this cycling route offers 630 km of tracks from Normandy to the Atlantic coast. 45 km in Charente- Maritime between the Marais Poitevin and Marans. Le Canal des 2 mers à vélo – From the Atlantic coast to the Mediterranean sea. 750 km along the Gironde and the ‘Canal du Midi’. Between the Gironde River and the Atlantic Ocean. La Flow Vélo – An appropriate name for a new way of travelling by bike – in the ‘slow tourism’ fashion. A new cycle route will open in March 2018: La Flow Vélo®. This national track will link the Ile d’Aix with Thiviers in the Dordogne – about 290 km – but a gentle ride, nothing dramatic, that will allow the cyclist to explore a France of natural history, gastronomy and much more. 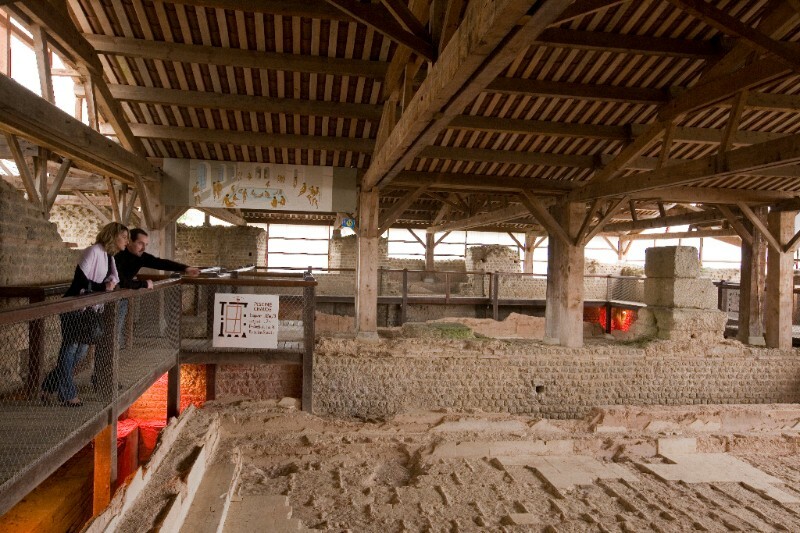 From the estuary of the Charente River to Rochefort, Saintes, capital of Aquitaine in the first century, the archeological site of Angeac-Charente, Cognac, Angoulême then Thiviers, the capital of foie gras in Périgord vert. La Rochelle Aquarium – In 2016, the Aquarium opened the Gallery of Lights – over 100 square metres of five giant tanks that take the visitor on a magical journey to the great depths of the oceans to reveal the sea creatures that light up their world with the most vibrant colours. On the surface there are manta rays lit magically from below. Further down the cerianthus lloydii and jewelled anemones, corals and sea fans lead to the pineapple fish found in slightly deeper waters before one enters the abyss! Here the wonders of bioluminescence, fluorescence and iridescence are revealed. For 2018, the visitor experience has been improved – with a palette of intense blue greeting visitors as they enter, appropriately decorated with luminous jellyfish. As you move through the Aquarium, different colours depict different spaces of the Blue Planet with background information available through touch screens. The restaurant now features new furnishings and a new menu, based on the theme of travel. Cassinomagus in Chassenon – A unique place to visit, these Gallo-Romans thermal baths are some of the best-preserved antique monuments in Europe. Cassinomagus is a vast archeological park to be enjoyed with the kids: guided tours, antique garden, Gallo-Roman games, archeological digs, and perhaps most importantly, excavations squares for children. ‘Geo-caching’ in CharentesTerra Aventura – Experience the thrill of an amazing treasure hunt with a relaxing tour using a GPS – geo-caching brings sport and culture together, allowing families to explore tourist attractions, villages, countryside…. Château de La Rochefoucauld – For over a thousand years, this property has belonged to one of France’s most illustrious families. The La Rochefoucauld chateau is an anthology of seven centuries of architecture. Visit the monumental stairway, the Renaissance galleries, Marguerite de Valois’ boudoir. Kids can dress up too using the various costumes and accessories on hand. 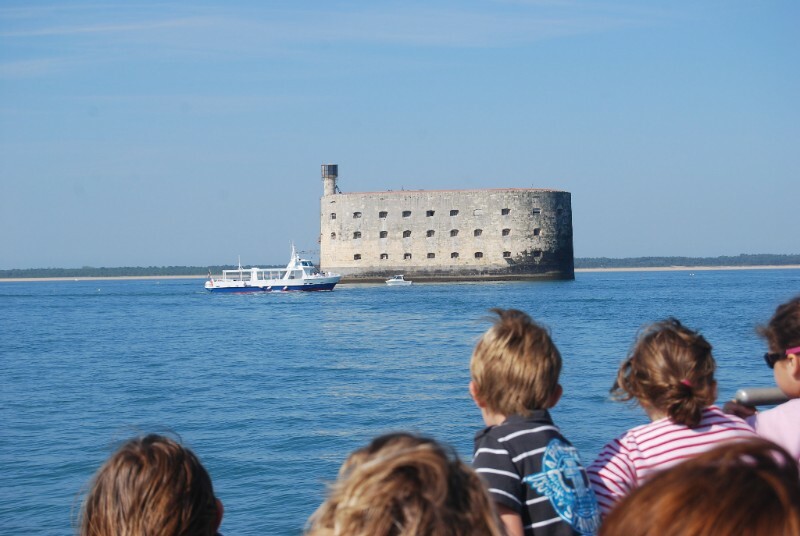 Fort Boyard – Fun for the Kids – Built to protect the estuary of the Charente River in the nineteenth century, one may not land but one may sail around Fort Boyard … and the kids will love it. They will enjoy the catamaran journey and the adventure of being at sea. Palmyre Zoo – unmissable – Created in 1966, the Zoo celebrated its golden anniversary last year. There are 1600 animals in the zoo with 115 different species represented. It is one of the most visited private zoos in France with over 700,000 visitors per annum. It is very important in the world of conservation too with 200-300 births a year of endangered species. Miniature Port at Saint Savinien – The Miniature Port at Saint Savinien, which celebrated its 30th anniversary last year, has a very jolly atmosphere with a vintage fairground, a Barbary organ and swings dating from the Twenties. The port houses eighteen little ships for the kiddies – steamships, paddleboats – all sorts for children to try. They sail on the little river under the auspices of the captain of the port. Family Plus – is a label awarded to places in France that go that one step further to make the holidays even more unforgettable for all the family. They have produced a special brochure listing all the various clubs for kids of all ages, different activities and sports that can be found in the summer months. Five resorts in the Charentes have been awarded this designation (Rivedoux-Plage, St.Martin-de-Ré, St.Georges-de-Didonne, Royan and St.Palais–sur-Mer. Last year, the Marennes Oléron became the first area in France to be given this accolade and now features 41 participating establishments. Châtelaillon-Plage – This an ideal place to take the kids to the beach as there is so much going on – beach volleyball, swimming, activity classes and children’s games. Try one of the many cafés for a fruit plate or hot chocolate or borrow a magazine or book from one of the kiosks! Rivedoux-Plage – Pretty little white houses line the port so to visit Rivedoux there is a special route known as ‘Prams & Pushchairs’ to follow. It takes you past all the places to visit to enjoy the local history. Saint-Martin-de-Ré – the charming – and it is! Very friendly and family oriented, this is another town that has been awarded the Family Plus label for 20 different tourist establishments. Even the tourist office here has a play area for children. 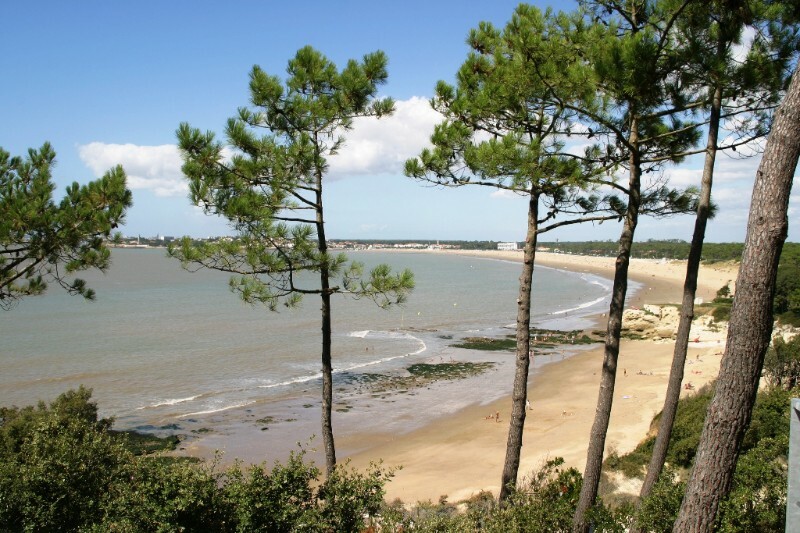 Royan – the generous – Seven beaches, all of top quality and graded in the premier category of cleanliness and maintenance, line this part of the Atlantic literally known as the Beautiful Coast. The most famous ‘La Conche’ (The Shell) is typified with blue and white striped beach tents lining the shore. The pleasure port is one of the most important on the Atlantic Coast and a promenade to view the boutiques and art galleries is simply a MUST. 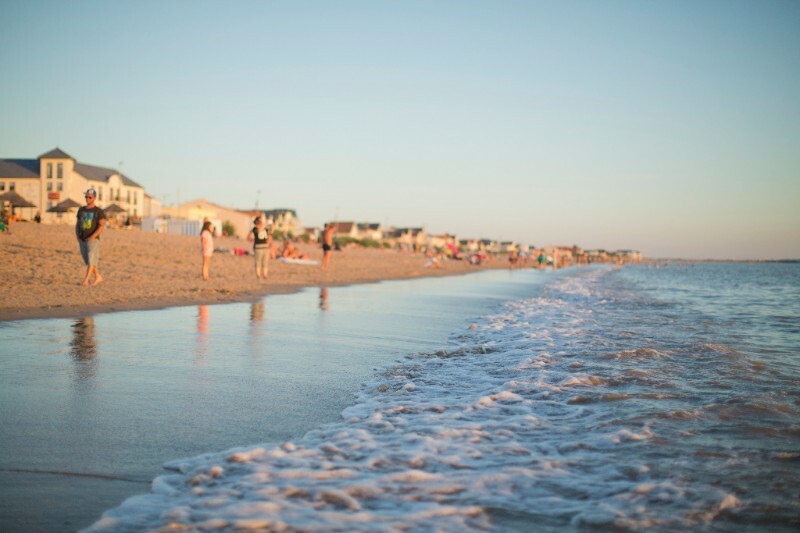 There are now nine award-winning beaches in the department. 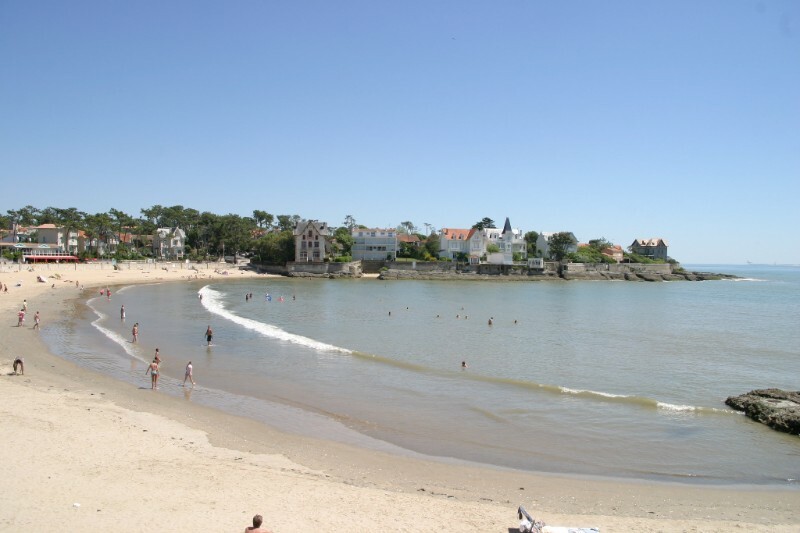 Saint-Palais-sur-Mer on the Beautiful Coast – Five sandy beaches, the Cordouan Lighthouse, a scenic pathway along the coast, this is a magical place for holidays with the children. As it is on the Vélodysée route, there are many cycle paths, properly maintained and signposted. Saint-Georges-de-Didonne – the Creative – Every child visiting on holiday here is given a little book to fill in about their time – a diary of where they went and what they saw. A charming idea and a lovely souvenir to keep. 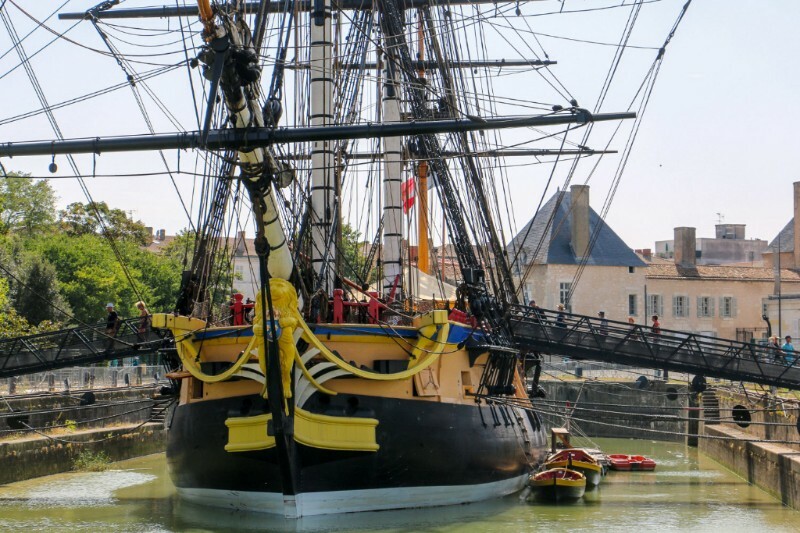 Visit Hermione, the floating museum – The replica of Lafayette’s frigate is back at her home port of Rochefort. This beautifully crafted ship, made with traditional methods, has sailed across the Atlantic to commemorate Lafayette’s voyage in the War of Independence and regularly takes to the water to showcase French ingenuity and craftsmanship – a true French Marine Ambassador! She’s sailing this moment but will return to her home port mid-June and visitors will be able to join one of the craftsmen working on the ship – carpenters, sail makers, artists, etc in one of their workshops or other events taking place throughout the year. It’s also possible to experience Hermione through the eyes of the ship’s boy, Clément Loiseau! There are monthly classical music concerts, sea shanties, traditional dances under the umbrella ‘7-9 of Hermione’. There are tours of the ship with a sailor dressed in period costume as well as Evenings Aboard – Aperitifs and anecdotes – with crew members who made the journey in 2015. For 6 – 10 year olds, there are special workshops for learning the skills of a ships mate! Accro–mats – Located next to Hermione, the Accro-mats is the first of its kind in France and in Europe – an unusual relaxing, fun way to learn more about the Arsenal here in Rochefort with the use of high ropes. The company Week‘ngo based the idea of using masts instead of the usual tree branches as in accrobranches. The tallest mast 27 is metres so offers wonderful views over the town of Rochefort. For more information visit www.france-atlantic.com.